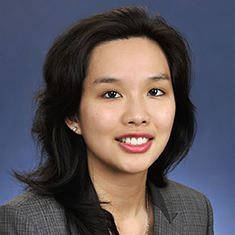 Stephanie Angkadjaja is an associate in Katten’s Environmental and Workplace Safety practice. She concentrates her practice in environmental, health and safety (EHS) enforcement matters and major accident response involving federal and California laws. Stephanie supports clients' responses to inspections by the California Division of Occupational Safety and Health Administration (Cal/OSHA), federal OSHA and other government agencies. While earning her law degree, Stephanie worked as a chemical engineer at a global integrated energy company. Her roles included process engineering, capital projects management, environmental counseling, Title V permit compliance, and process safety engineering. Stephanie has experience with both the Cal/OSHA Process Safety Management standard and the US Environmental Protection Agency Risk Management Program as applied to the oil and gas industry. In her role as process safety engineer, Stephanie supported the response to government investigations into a major workplace incident. Stephanie is also a registered patent attorney. During law school, Stephanie completed the Intellectual Property Law concentration, which required a minimum of 16 units in core patent law and trademark law courses and electives in digital media, advertising and Internet law. To fulfill the experiential component of the concentration, Stephanie participated on the school's Saul Lefkowitz Trademark Moot Court Competition team and had the opportunity to present oral arguments to a volunteer panel of judges at the Ninth Circuit Court of Appeals in San Francisco. Representation of a Fortune 500 company in connection with investigations by the CSB, OSHA, the EPA and other agencies related to a multi-fatality incident at a manufacturing plant. Representation of one of the world’s largest independent US refining companies in connection with investigations by OSHA and other state and local agencies related to a power outage and contractor fatality. Secondment to one of the largest independent US refining companies to assist with Cal/OSHA process safety management Program Quality Verification inspection. Defense of a multinational retail corporation in connection with Proposition 65 claims and litigation, involving the coordination and management of indemnity counsel for the corporation’s suppliers. Defense of a large shopping center corporation in connection with OSHA citations alleging violations of construction safety regulations.